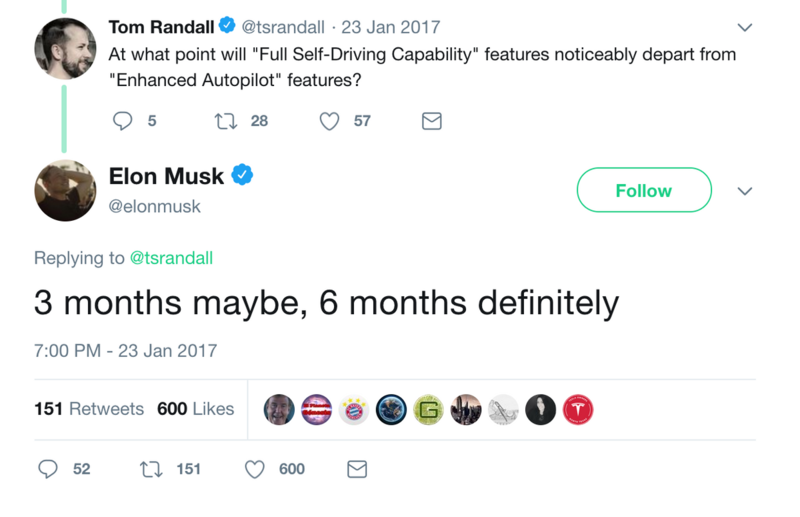 Ahhh, Elon's favorite phrase: "3 months maybe, 6 months definitely." As of January 16th, 2019, this hasn't happened, even though it was "definitely" promised six months from January 23rd, 2017. 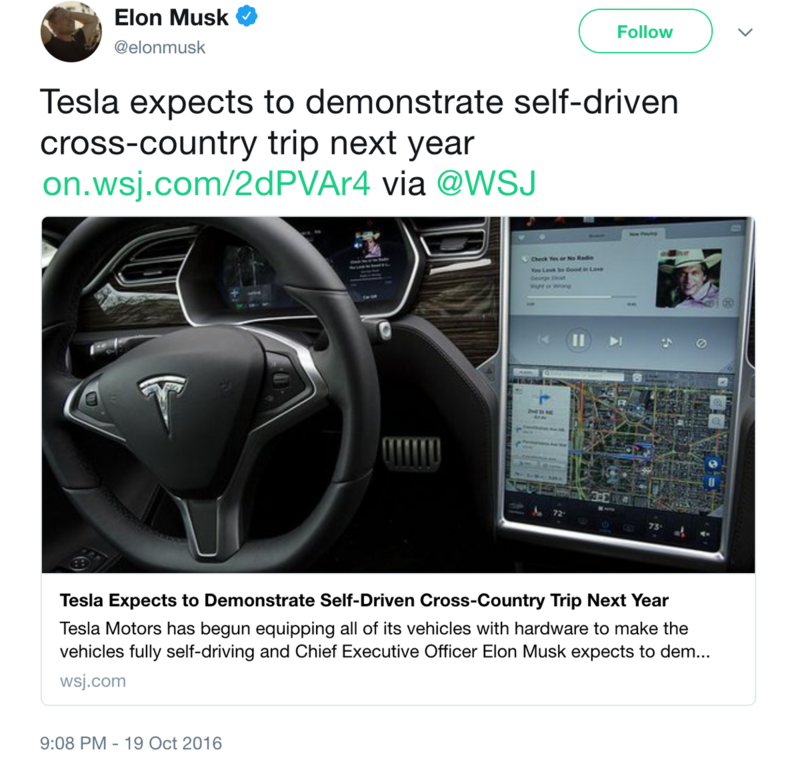 How many people put down deposits with the promise of full self-driving? The free deposit loans continue! Was promised in 2017. It's now 2019. What gives, Elon? 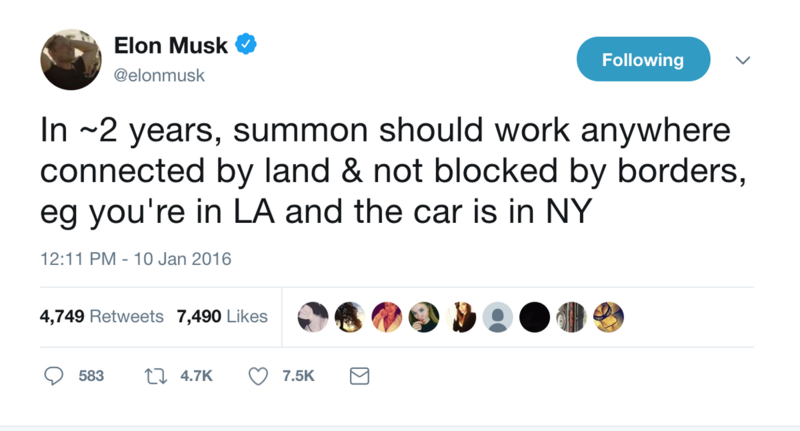 In January 2016, Elon stated that the summon feature will work "anywhere connected by land and not blocked by borders" in about two years. It's been over two years. Summon feature still nowhere close to this functionality. Short via long dated put options. Information on this website is not investment advice. Investors should do their own research before investing. Invest at your own risk.